When updating, all settings in the ShiftNav Control Panel and menu item options will be preserved. Changes you have made directly in the plugin files on the server will be overwritten. 1. 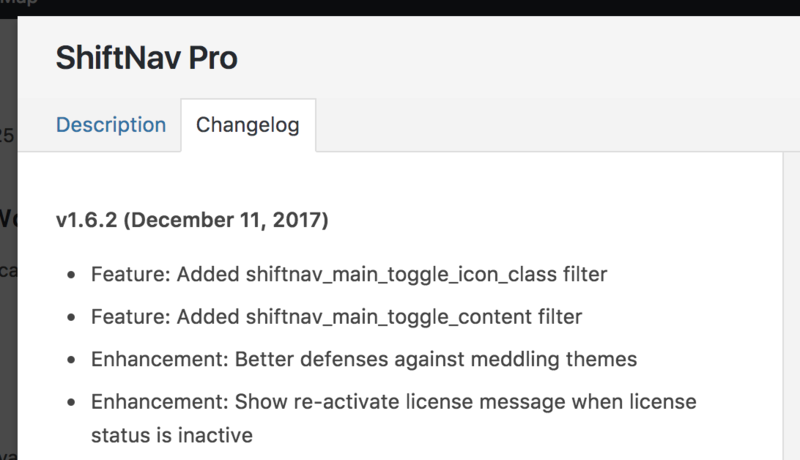 If you haven’t already, add your license code in the ShiftNav Control Panel > Updates tab. 6. Note: You can only run updates on the site that the license was registered to. If you get an “unauthorized” message, please check your Updates tab and make sure that your license is registered to the current domain. Please note you will need a current, valid license in order to download. 4. If you have made any customizations, back up the shiftnav-pro/custom directory before proceeding. 7. 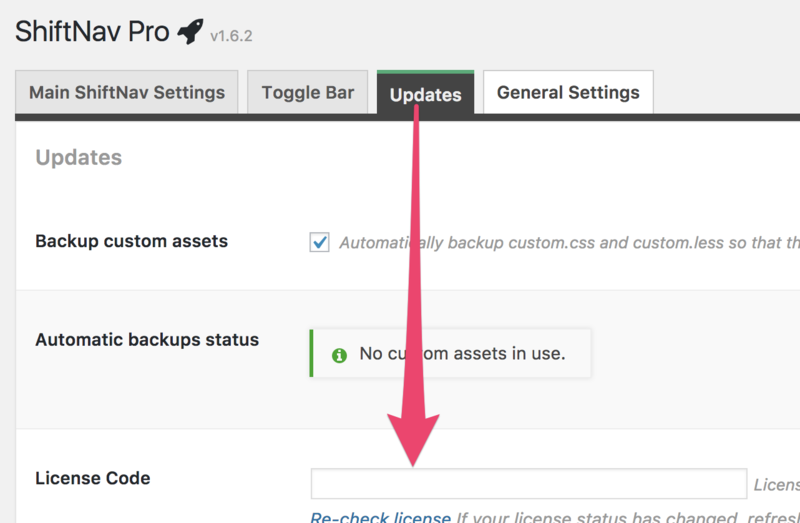 If your custom.css has been overwritten, re-upload your backup copy. 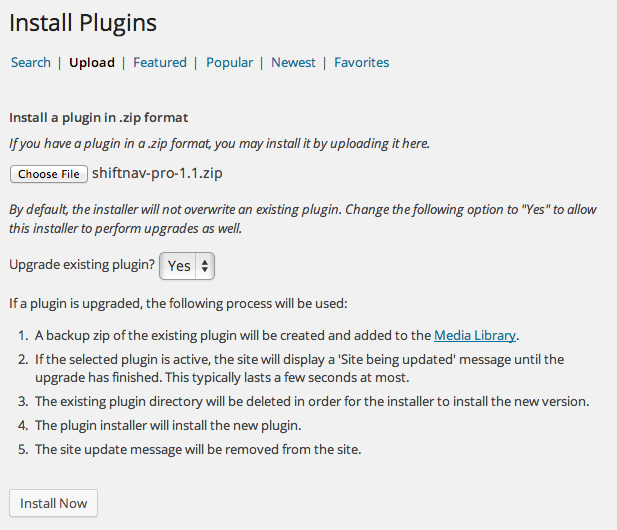 To update the plugin via the WordPress plugin uploader, you’ll need to first install the Easy Theme and Plugin Upgrades plugin from the WordPress repository. Please note if you have made any edits to the plugin files, they will be lost. Be sure to back up your /custom directory before updating if you have made any changes there. 1. You should always make a backup of your site before installing updates this way. Depending on your server configuration, this method can cause issues and you’ll want to be able to revert to a backup easily. 4. 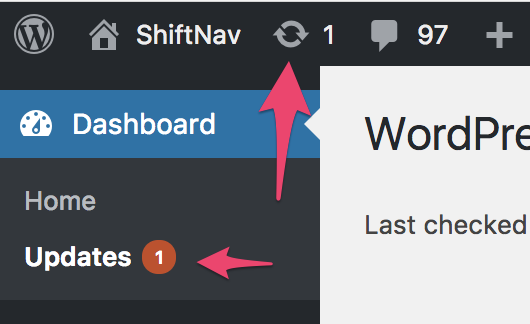 Click “Choose File” and select the ShiftNav Pro zip file you downloaded. 5. Select “Yes” from the “Upgrade existing plugin?” option.